A former Prime Minister and one of the founders of firm Chen Palmer is among the 29 Kiwi legal scholars calling on New Zealand’s government to take action against Nauru’s over deteriorating constitutional situation. Sir Geoffrey Palmer is joined by and former Attorney-General and Speaker Margaret Wilson, as well as academics from most New Zealand law schools, in writing an open letter to Foreign Minister Murray McCully, calling on him to take more decisive action towards to government in the island country in the central Pacific. New Zealand is the principal funder in Nauru’s Department of Justice and Border Control. “Since the 2013 election in Nauru, there has been a series of disturbing developments on the islands that indicate a severe deterioration in the state of its parliamentary democracy and in the rule of law,” the letter said. It urged McCully to make it known to the Nauruan government that the island’s rule of law was swiftly deteriorating, and without remedial action by the government, resort to withdrawing New Zealand funding. “Nauru has expelled five of seven opposition MPs from its parliament,” Law Society rule of law convenor Austin Forbes QC said in the release. “Three of the MPs are now facing criminal charges for their involvement in a protest. One, Roland Kun, was taken off a flight bound for New Zealand and his passport has been cancelled. “Over the last two years Nauru has sacked and deported a Magistrate. He had issued injunctions restraining the government from deporting two residents without giving any reasons. The Government also refused to allow its Chief Justice to return to the country from vacation. “Interference with the independence of the judiciary, the arrest of elected members of parliament, expulsion of citizens who protest and other curbs on freedom of expression and the right to access information. This cannot continue. 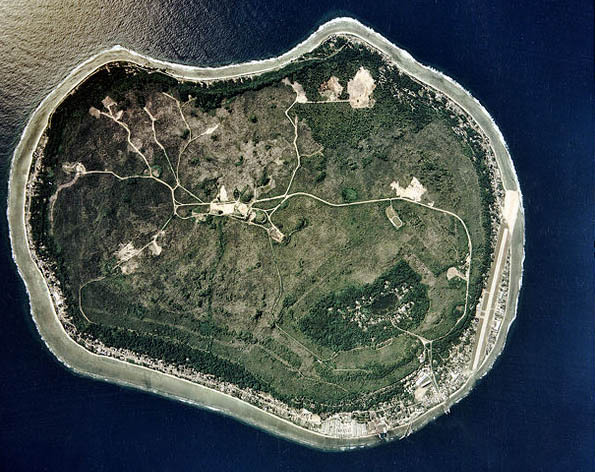 Nauru has to restore human rights,” he said.